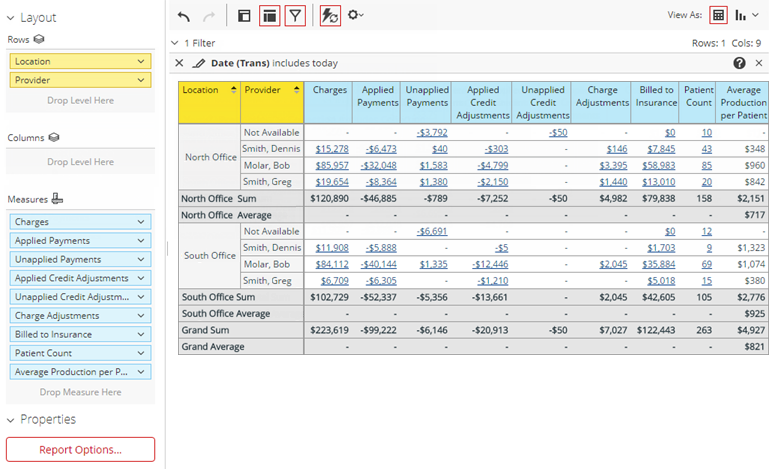 The Transaction Summary Report displays the sum of each transaction type by location and provider for the current day. The report includes a patient count and the average production per patient for each provider and location. Also, for most measures on the report, you can view the items that have been used in the calculation. On the Power Reporting page, click (or tap) the Transaction Summary icon.